At 20, Jack Ford saw the world through a different lens, when he joined the Royal Canadian Air Force (RCAF) and landed a spot in the, 414 Photo Unit Squadron. During the Second World War, he carried a small accordion style camera with him at all times, his job was to document history in action: civilians and children on the roadside, aerial views of bombed towns and sometimes still burning German enemy targets. In order to shoot the aerial shots, a special camera was mounted behind the pilot of a Spitfire airplane. Together, he and his squadron took thousands of photos. Processing would take place in a rushed manner in the back of a truck, somewhere on the side of the road. His most memorable event was soon after D-Day, when Winston Churchill unexpectedly showed up with British Field Marshall, Bernard Montgomery and King George VI for a surprise visit near Caen, France. Jack, a kid at the time, was shaking with fear, hardly able to hold the camera steady. 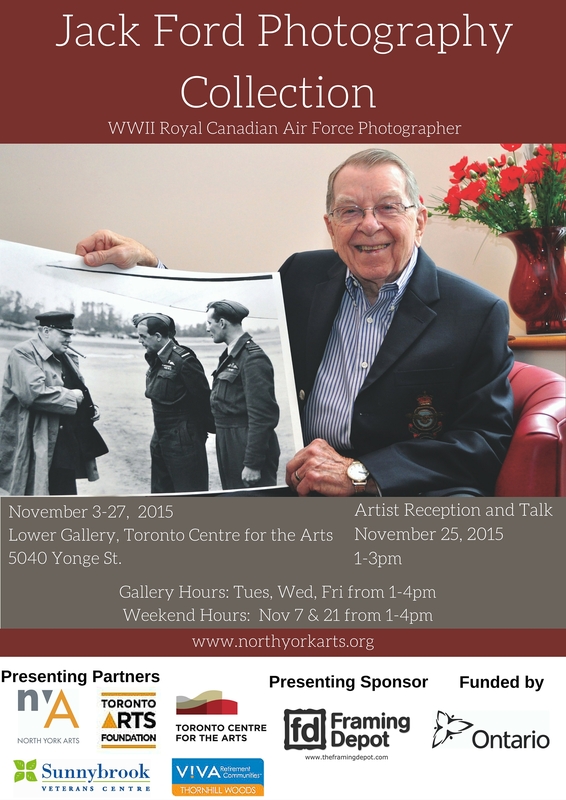 After the war, as an advertising executive in Toronto, Jack continued his affiliation with photography, when he worked with images and creative story boards to develop new ad campaigns. For five years he has lived in the veterans’ residence at Sunnybrook. Each week he visits his wife and true love Joan, who is in a nursing home only a short distance from the hospital. Along with distance, dementia has come between them. Some days she knows he is there and other times he’s not so sure. “It’s not the way I planned things would be, but I’ve come to accept it,” he says. At the Veterans Centre, Jack looks forward to regular sessions in the photography studio with his art therapist. Together, they work with Jack’s collection, discussing the different wartime scenes and scanning them onto a large iMac computer.